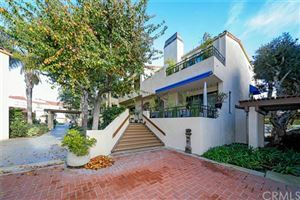 Broadmoor Condos Huntington Harbour is a gated condominium complex located in northwest Huntington Beach off of Pacific Coast Highway (PCH) in the Huntington Harbour. Broadmoor Condos are located on the beautiful Huntington Harbour with easy access to shopping, dining, and within walking distance of Sunset Beach and Peters Landing Marina. Click here for a list of all available condos in Broadmoor Huntington Harbour Huntington Beach. Broadmoor Huntington Harbour was built in the early 70’s and consists of 244 units. The floor plans range from a 2 bedroom with approximately 1100 sq/ft to a 3 bedroom with around 1700 sq/ft of living space. Each unit features a patio or balcony as well as a 2 car garage. Broadmoor Huntington Harbour Condos offers a pool & spa as well as 3 tennis courts as part of their on-site amenities. There is an HOA fee that is charged monthly which covers these amenities which also includes the water/sewer, insurance, trash of each unit.